Close Enough! – It Works For Bobbi! 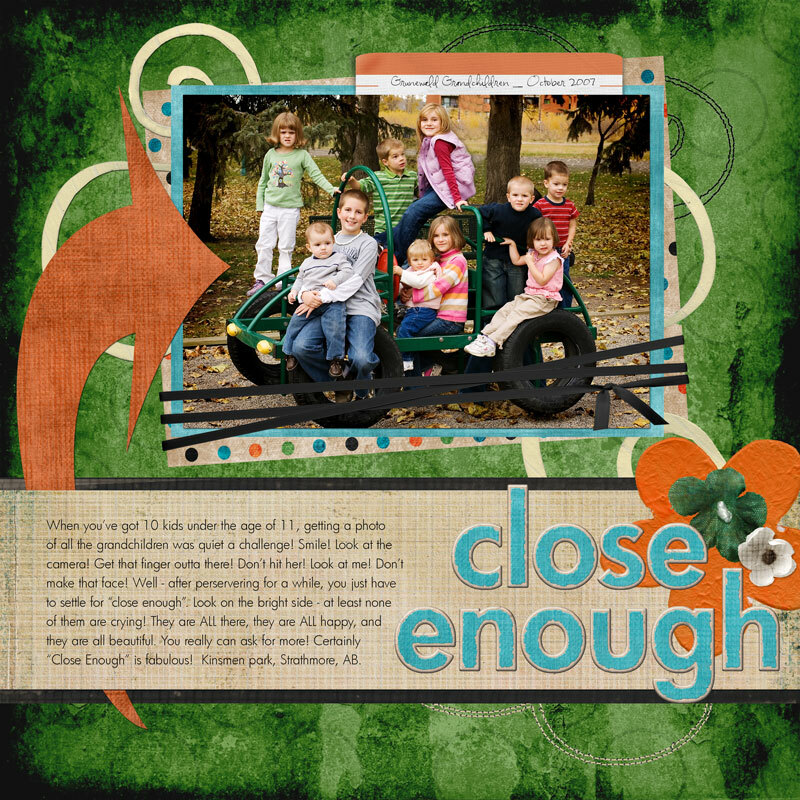 Published on October 16, 2007 August 9, 2016 by Bobbi-Jo G.
I did this layout exclusively using a digital kit from DigiChicks called “Tristans’ Treasures”. I love the vibrant colors and the fun embellishments! I felt like the chaotic feel of the page lent itself to the equally chaotic feeling of that day! Previous Remember the 80’s ? AMEN!! I have so learned that close enough is good enough. Great layout & great pic! Awwwww…..hey, if you got ’em all in there then it’s better than close enough. I bet grandma and grandpa love it.